For the past 21 years, photojournalist and now retired military photographer Jeremy Lock directed his lens towards the elements of the world that many of us will never have the opportunity or even the desire to see first hand. During his adrenaline-filled career he was also named Military Photojournalist of the Year seven times, awarded the Bronze Star Medal for distinguished service in Iraq, and documented battles, disasters, and everyday life in Afghanistan, Iraq, Japan, Haiti, Mongolia, and many other locations. At every stepLock has been there with camera in hand, steadily and skillfully documenting what we might otherwise never see. Christina Yielding is a local oil and acrylic on wood artist. She was introduced to the art world about twelve years ago. From the first time she put color on a canvas, something magical happened. Over the years that magical process led her from a hobby to a career. Christina paints solely on wood and custom builds each frame around every piece. No paint brushes are used in her artwork. Laura Roosevelt specializes in abstract mixed media painting. 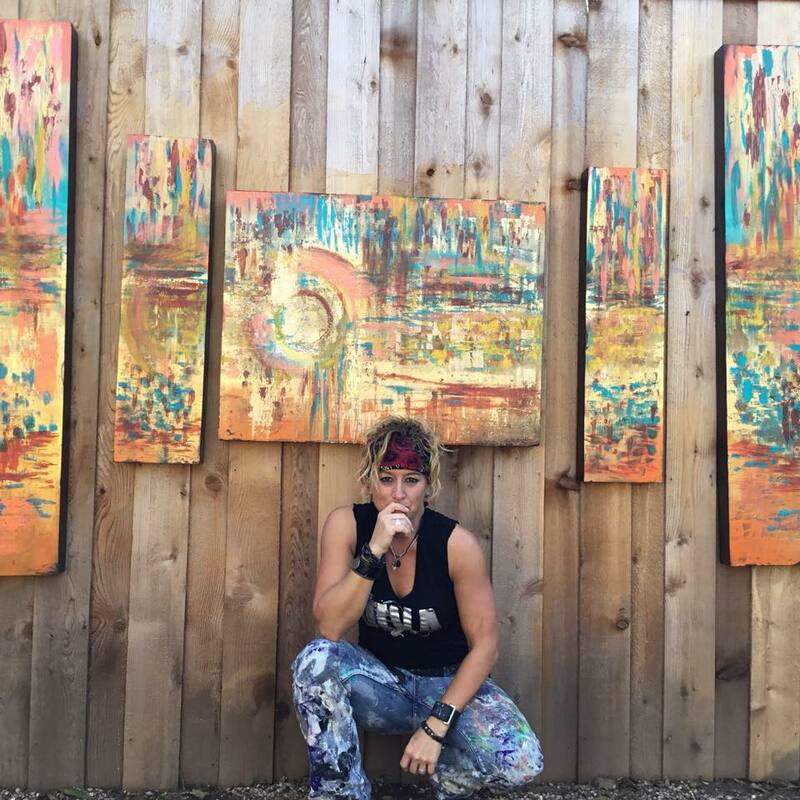 As an artist, she is known for her layering technique, which leads the observer deeper into the piece and into one’s subconscious. For Laura, the combination of luminous color and the buildup of textures is reflective of the complexity of our human condition. She sees the world around her, including nature and architecture, and creates something abstract and beautiful with her heart and soul. As a process oriented painter, Laura states,“I let the paint and materials do what they truly are supposed to do”. Laura balances her paintings with her sleek metal sculptures, which consist of simple, metal shapes created in a multitude of abstract presentations that often have her touch of beloved textures. Her work can be found in private collections from coast to coast in the United States, in the Bahamas, London and St. Barths. David Gappa, a Native Texan, discovered and embraced his love of art from a very early age, spending countless hours exploring his creative talents and honing his skills in numerous artistic mediums. These mediums include painting, sculpting, sketching, and drawing to name just a few. As a young adult, he spent over a year in Europe studying these various mediums of art and a significant amount of time in Murano, Italy with the glass artisans. Gappa earned a Masters Of Science in Architecture from the University of Texas at Arlington, graduating Salutatorian of his class. During his studies at UT, he embarked on his passion for glassblowing while assisting with the founding of the university’s glassblowing program and participating in the glassblowing elective for two years. Thus began his vision of opening Vetro Glassblowing Studio, which came to fruition in May of 1999. “For me, working with glass is the magical act of translating the ethereal into solid form. The creation of each piece is a journey as I strive to trust in the path the glass chooses for me…a trail of color, form and function,” David said.